We have been hearing a lot of these question lately: What are those things? What are garlic scapes? Where do they come from? How do you grow them? 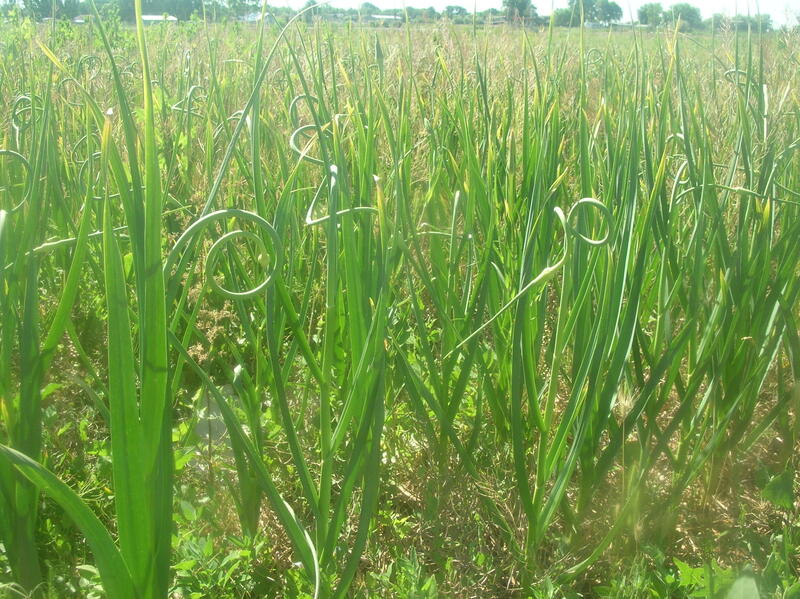 A garlic scape is the flowering part (flowering stem) of hardneck garlic that doesn’t actually produce a flower . Each garlic plant will produce one scape. Once the flowering stem completes a full curl, it is time to start clipping them off and that is a garlic scape. Clipping the scape, allows the plant’s nutrients and energy to go to producing a larger bulb. Not all plants will produce the scape at the same time, so this calls for consistent clipping and checking of your garlic patch. For us that is a lot of row walking and continuous harvesting. We have a half acre of garlic this year. When we were tediously planting all that garlic by hand last fall, we were wondering what we were thinking when we planned to plant that much garlic. And seriously thinking we were crazy. 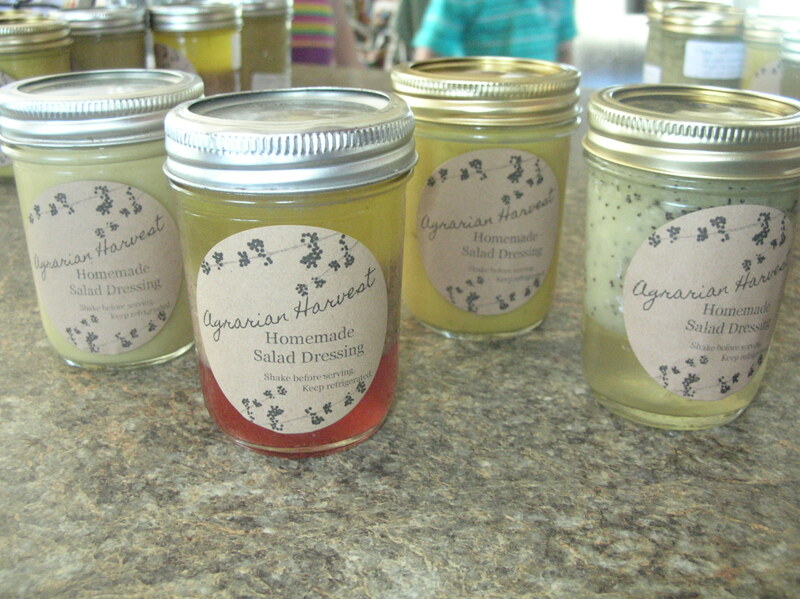 Now that the garlic scapes are harvested, it is time to have some fun creating and cooking. 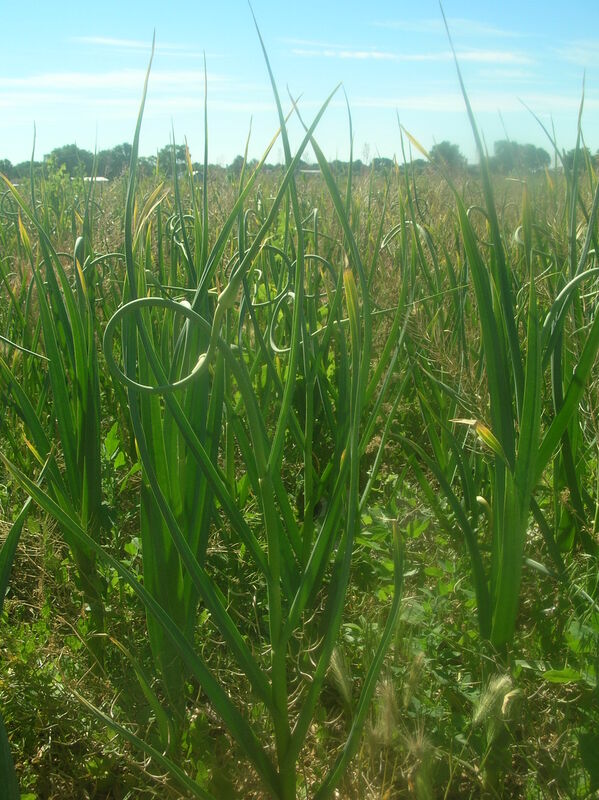 Garlic scapes can be ate raw, used as a garnish, substituted for garlic in recipes, cooked or even pickled. 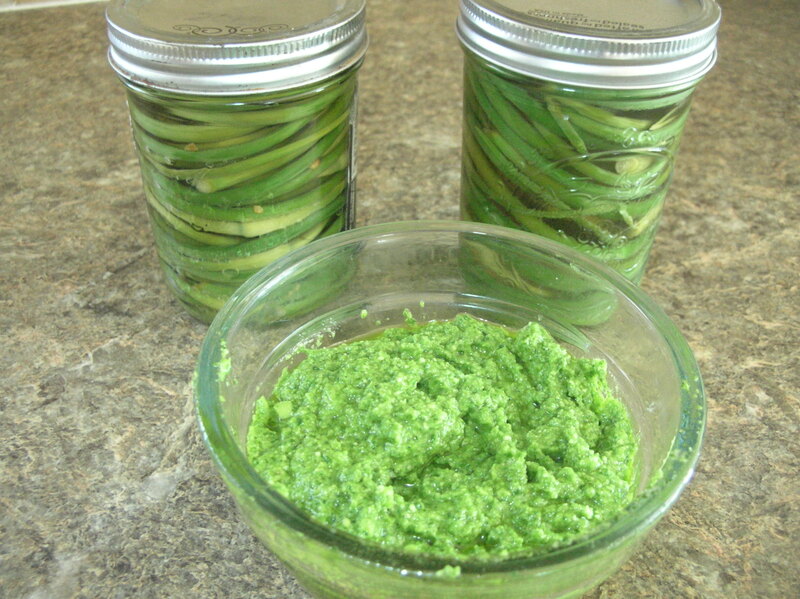 We have been enjoying arugula garlic scape pesto. Mine is a bit on the hot or spicy side, the way we like it. Pesto is absolutely delicious on tomatoes with mozzarella. Or just saute scapes then eat on toast. Saute and put into homemade bread for a loaf of garlic bread. Pickling garlic scapes is something new I’m trying this year. We love anything pickled in this house so pickled scapes make our mouths water. Our kids even fight over who gets to eat the garlic out of the dill pickle jars. My solution: pickle garlic scapes. Now everyone gets their own jar and there is no fighting; until it’s time to go clip more scapes. We tried a recipe with sugar and a version with dill and pepper flakes. We prefer the dill, but if you prefer sweet pickles then you would probably like the sweet version. We are chopping up garlic scapes and putting them in almost every dish we make. Even in my homemade dressings. The possibilities are endless! So far my favorite uses of garlic scapes are to saute them with kale and pickled. What is your favorite way to use garlic scapes? 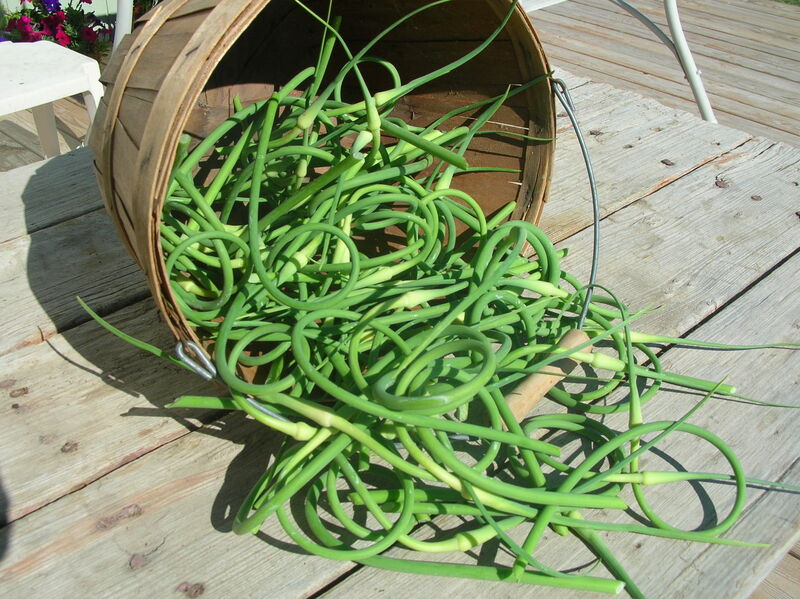 What kind of wonderful creation did you come up with using garlic scapes? I would love to hear from you!